As of last month, I am now a proud subscriber to The Vegan Kind. A box that delivers an array of vegan goodies right to my home each month for a fee of £10 plus p&p. 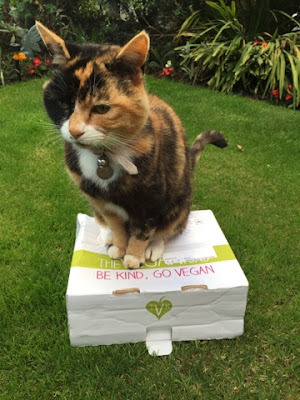 As you may already know, I am a vegetarian who is attempting the transition into a vegan lifestyle. Although it has been challenging ensuring I am eating properly and checking ingredients here and there, I am enjoying the change. I feel healthier and inside I'm happier knowing I am helping in my own way. 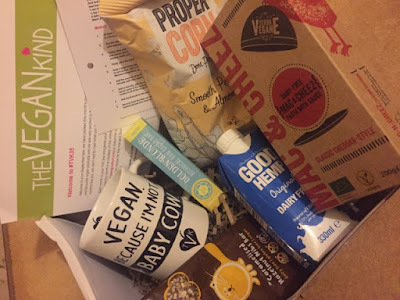 The Vegan Kind has helped introduce me to some fantastic new brands that have pushed me to be even more excited and motivated to continue with my vegan lifestyle. Although I have had great encouragement from family and friends, I still receive the odd negative comment here or there. "It isn't natural" and "where are you getting your protein" are the top two. 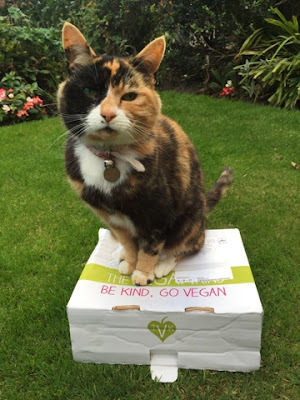 I believe that people can sometimes get defensive about the fact that they eat meat, perhaps sometimes because of the guilt they feel deep down knowing where the food is sourced from. But less ramble.. Here are the goodies! I think my cat phoebe is looking for a modelling contract... Or she is just particularly excited for this month's delivery! 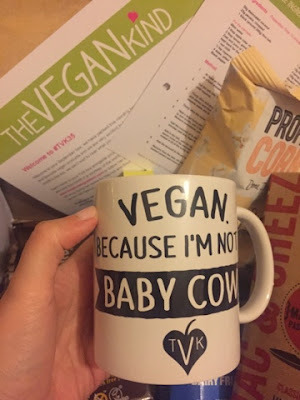 So this month, the item I had hoped for was TVK mug, which I had seen a teaser of earlier in the month and had hoped it was to be included in the September edition of my box. And it was! Containing a great slogan and cute cartoon of a baby cow, this month's lifestyle item was fantastic! 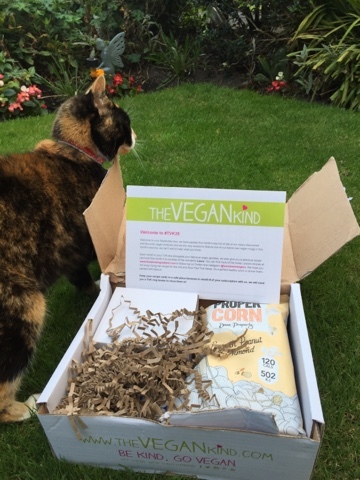 Amongst the loot is dairy free milk, dairy free chocolate, my favourite flavour of popcorn and a vegan alternative to macaroni cheese which I cannot wait to try! My brand pick of the month has to be Moo Free. 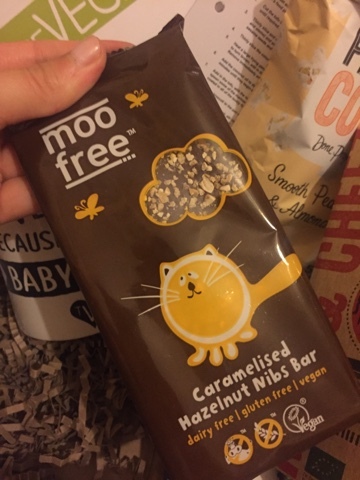 This is a brand I have sampled previously and even shared with my friends, just so they can taste how good dairy free chocolate is! There are so many flavoured chocolates and combinations in their range, I can't get enough! 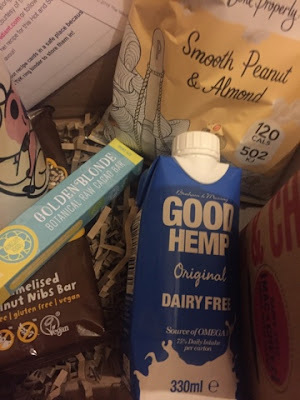 A wonderful way of testing new products and expanding your vegan outlook!